All-Rite Dock and Door offers prompt, fast and reliable service solutions 24/7. Whether it is a scheduled maintenance call or emergency repair or service; we are honest, reputable and determine to find cost effective solutions with fast turn around time to repair and/or service your loading dock area. Our goal is to get your normal back! Your operations are key to success and having things run running smoothly is ours. Toll Free: 1-(888) 704-7409 / Local: (905) 840-4848 or connect with one of our expert dealer for full details on any of the products or services we offer. 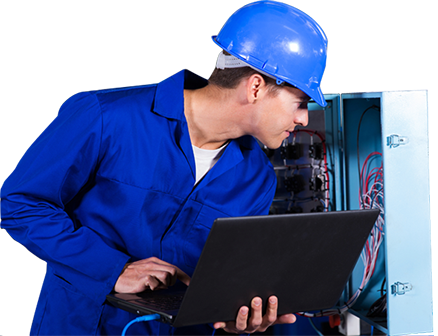 Services & Preventative Maintenance is an excellent solution to incurring costly repairs. The goal is to prevent breakdown and down time within your working system; our goal is to ensure you are keeping your system fine tuned and operating. The following is a brief list of examples we have services/maintenance; please call us directly, however; to discuss your tailored needs; every client is unique. occur or before they develop into major defects. and protect your facility – be pro-active instead of reactive! All-Rite’s Quality Service Department recommends your preventative maintenance visit occur on a semi-annual or quarterly basis. Contact us today to learn more about our preventative maintenance programs in the Greater Toronto Area, Brampton, Burlington, Hamilton, Mississauga, Oakville and other Southern Ontario Cities.